BostonHerald.com first reported the matchup Wednesday evening, which the UFC confirmed by re-tweeting their post. Howard was perfect through his first four scraps inside the Octagon, but was cut loose after running the reverse trifecta. He’s since rattled off wins in six of his past seven scraps. This marks Hall’s third different assignment for the August 17 event. 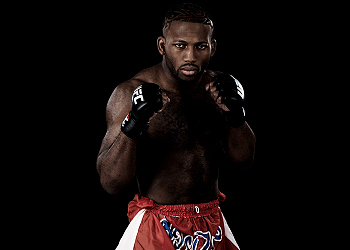 “The Ultimate Fighter 17″ finalist was initially slated to meet Nick Ring, but visa issues forced Ring out. TUF 17 castmate Josh Samman then agreed to step up. No word why Samman was forced to withdraw. Hall owns just a 7-3 professional résumé, but his vicious highlight reel finishes on TUF had fans believing he could one day make a run at UFC gold. He’ll now get the opportunity knot up his UFC record with a win over Howard. Hall vs. Ring was slated to appear in the main card. It is believed the new matchup will maintain the same slot in the lineup.